In the 12 hours or so since Mitt Romney announced on Facebook that he hadn’t been picked by Donald Trump to be secretary of state, the conventional wisdom has already cemented: The 2012 GOP presidential nominee lost his dignity by begging for a job in the Trump administration. 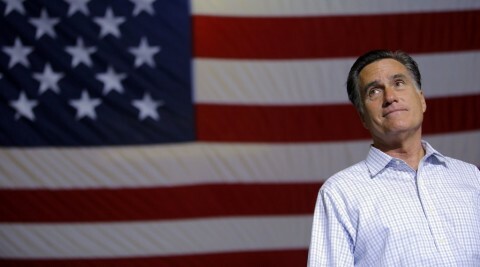 For many, that picture typified the extent of Romney’s humiliation. Trump, grinning, knowing that he had made his biggest critic bow — symbolically — to him. Romney, pained, but sitting there nonetheless, willing to let bygones be bygones in exchange for the possibility of a post in an administration he had once vilified. For me, that picture said something else. I don’t quibble with the interpretation of Trump: I think he was reveling in his unexpected victory and all of the kudos from unlikely sources — including Romney — it won him. And, I agree that Romney looks pained. But I think what that picture tells us is that Romney knew that Trump would turn their dinner into a photo op and was willing to do it anyway because he genuinely believed he might be able to do some good as Trump’s top diplomat. It's interesting--and a little troubling--what some people read into the split second of time when someone is captured on film. Maybe Donald Trump just ate something delicious. Maybe Mitt Romney didn't care for being interrupted by paparazzi. We really have no idea what was going on in the mind of either one.